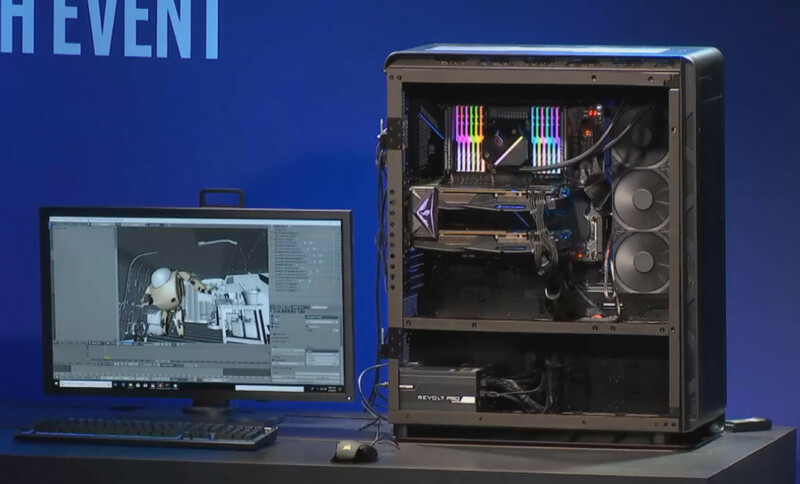 Although the big stars of today's Intel event have been the new desktop processors, the company also wanted to take this opportunity to launch its new beasts for the workstation field. 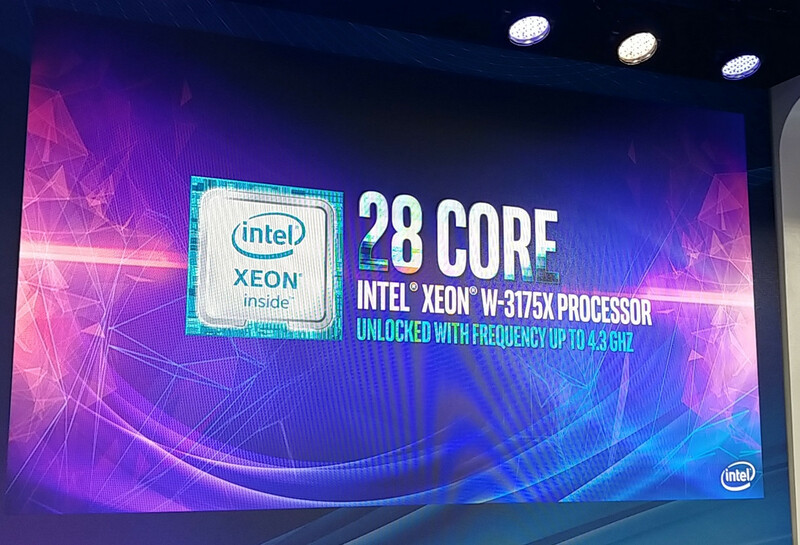 These are the Intel Xeon W-3175X, which are destined to conquer ambitious users in that professional segment. These unlocked microprocessors, similar (but not equal) to what we saw at Computex in June, have 28 cores, 56 threads and base frequencies of 3.1 GHz, although they can reach 4.3 GHz. These chips support 68 PCIe 3.0 lanes (44 on the CPU, 24 on the chipset), and there is another important feature on the memory front: the 6-channel DDR4 support allows the user to configure these systems with up to 512 GB at 2666 MHz (ECC and standard). This processor's TDP is 255 W and is based on Intel's Skylake-X architecture. This chip uses LGA3647 (Socket P) - and that move from Intel will make it necessary to use new motherboards. ASUS and Gigabyte have confirmed they will launch products for this processor; for example, the former will launch ASUS ROG Dominus Extreme, that features not one but two 24-pin ATX power connectors besides the 4x 8-pin and 2x 6-pin 21 V ATX power connectors. That motherboard provides 12x DDR4 slots for up to a maximum of 192 GB of RAM. During the presentation event of this processor Intel invited to the stage one of the people in charge of Tangent Studios. This company has created the film 'Next Gen' for Netflix (which will be released soon), and these new processors accelerated the Blender rendering tasks with. 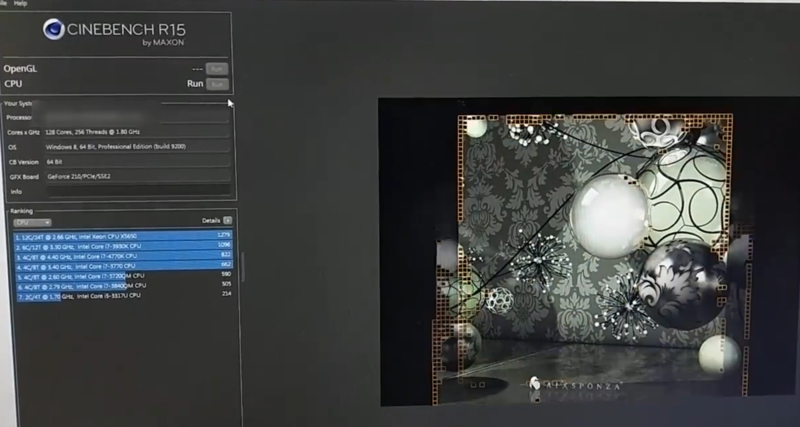 The use of Intel Embree - a collection of high-performance ray tracing kernels - in combination with these processors allowed a 15% reduction in the rendering time of these frames, which typically reached 4 hours. Just out of curiosity: does the cooler used here come with the CPU? This is what a true HEDT looks like. No gimped server parts like 2990WX and 7980XE. This is a fully enabled processor worthy of using the prestige Xeon name, fitted with the best motherboards ever created like that beasty Asus Dominus board with monstrous VRMs. X599 is the exotic cars of the PC world. The cream of the crop. The best of the best. A platform for the masterest master race. The thing that makes you broke but you’ll have no regrets whatsoever because those 28 fast cores is too fast. Looks impressive. But knowing intel, this is not gonna be cheap. Its gonna be way more exspensive than Threadripper 2 2990WX. The new i9-9980XE is almost 2000 USD so cost more than 2990WX already. 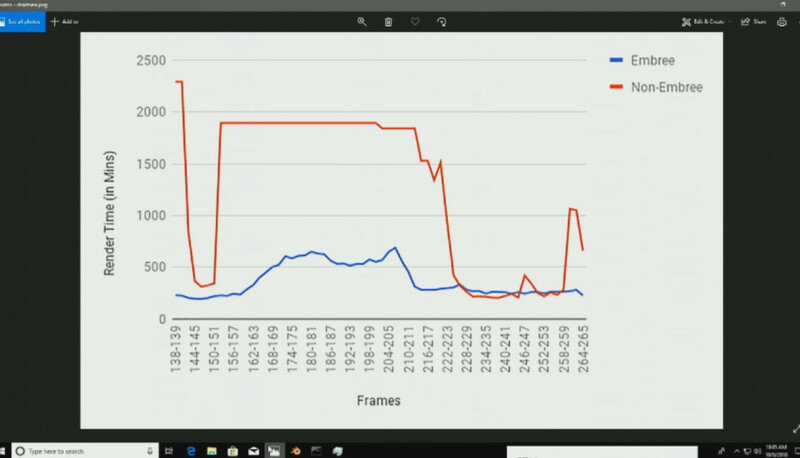 looks like 2990WX is the one for those that want a Workstation CPU with out being ripped. Intel Xeon W-3175X or wallet ripper is a beast, but the price i exspect this to get makes it a bad deal for most people. 2990WX seems like a better choise. This is for serious film studio rendering or equally serious servers, every one else should just move along. I wonder if AMD can produce-or have coded for them-similarly optimised raytracing software? Apple and orange for different crowd. One is a HEDT and the other is a one trick pony workstation chip. That motherboard provides 12x DDR4 slots for up to a maximum of 192 GB of RAM. Did Intel explicitly say it supported 512 GB? It seems very strange to me. I would expect it to support 768 GB (with registered DIMMs) like its LGA3647 brothers and sisters. Yep, it's probably a $4,000+ HEDT, just what everybody wants, right? 255watt tdp is immensely optimistic ,the asus board needs Two power supplies, two 24 pin and six 4pin cpu powers, the power argument intel and Nvidia have been lauding up for five years is out the window now eh. Looks good though, yes id have one but no, i would rather buy a new car well i say new but being fair it would be far from new for three to five grand. The masterace is on crack apparently, im all for cores but not at this kind of cost. And I doubt this will play Any game the fastest of all the platforms , likely, it's little intel bro will game way better ,as will the midrange imho. TDPs usually are a little "optimistic" these days, but I don't think it's that far off. This thing isn't an HEDT, it's for workstations, render farms and massive servers, for the rest of us it's a WOW and move along to something more realistic, like a supercar. Oh i think in base , not auto overclocked by the motherboard mode doing not much it will sit within that but with a useful load and typical Aib mobo melarky i personally would expect 1.5 times that , with a decent Oc well , it could break records for what a Consumer cpu pulls. Yeah in a server setting and motherboard, this is consumer space where auto Oc without even knowing it can be a feature and will be on all Hedt consumer boards , i crunch and fold so i know what CPUs do while actually working and they like juice still , no one's telling you real tdps(and it's the thermal heat transfer capacity required anyway) ,read what you want , believe what you will. Epyc ROME totaly destroeyd this toy :-)...Also 2990wx will be in some test better guys. This monster will be interesting only with ln2 from my point of view. So Intel gives us a .1GHz base and boost clock increase with four fewer cores, while rating the TDP 5W/2% higher. I'd be interested in seeing the multi-core boost tables of the two side by side. Of course, we know we'll how Intel's TDPs are irrevelant if MCE/MCT are active, though who knows if that will even exist on this platform? There's little doubt that this will beat the 2990WX in memory latency sensitive workloads, but other than that, it sounds like a toss-up. There is no X599. Also, why is the 2990WX gimped? Because of the memory controller and lack of multi-CPU support? Yeah, neither of those matter much. Also, this won't be very fast in most use cases. Even an 8700K will beat it in the vast majority of normal use cases. This is a server/workstation/render rig CPU, just like the 2990WX. They're irrelevant and largely useless for anything else. To me, it's just a workstation. These are taking the place of what UNIX once held...costing 10k or more. HEDT was never supposed to be as badass. Very few games need any more than 6 cores. 8 tops, so how can such a motherboard be touted as a product in the "Republic of Gamers" line when it's not a gaming CPU? That makes zero logical sense.. I suppose it'll help people set new world records in 3DMark Time Spy? That seems to be the "gaming benchmark" du jour, despite that it scales with CPU cores in a way that no game in existence does.